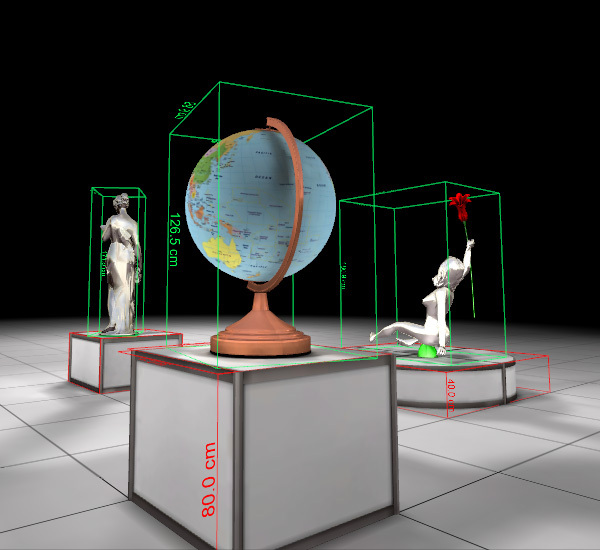 Some of the models used in the scene come from here: http://www.3dmodelfree.com A version with simpler scene - if you prefer not to clutter your disk too much - is available on the AssetStoreas the BoundBoxes package. A bit advanced version of this package is also available at the Unity AssetStore as the DimBoxes package. That will also let you place the dimensions and extension lines, here is the demo: The demo scene in the DimBoxes package is a bit simplified, but the scripts used are the same. All the above should work fine both in Unity Indie as well as Unity Pro. 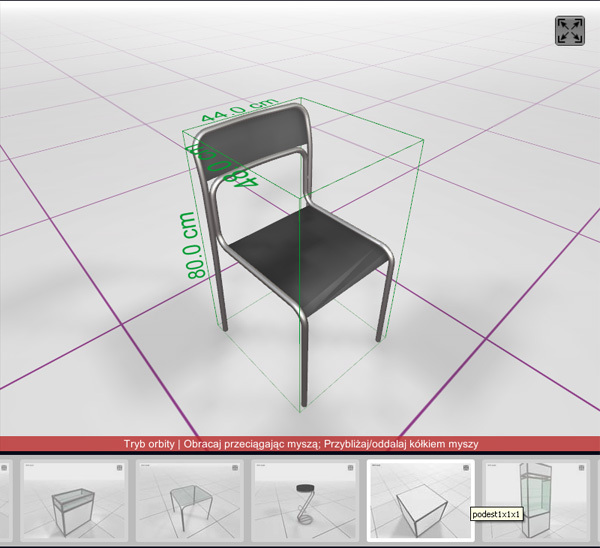 You can also have a look at the 3d object viewer that I created with that in the link below. : This however uses the Unity Pro feature of dynamic loading of the streamed scenes. The WebPlayer itself has 150 kB or even less of data only and subsequent scenes are loaded/unloaded into it. Thank you on sharing your amazing solution. I was trying to use it but, it’s not showing numbers on bounds? It is true, the numbers are not included in the download at the moment. Just let me know if you need them and I can send. I need the numbers too, and am very grateful if you could send them to me. can you teach us how to add numbers too? This should become available on the Asset Store – probably at 5 eur – I have just resubmitted the package after corrections yesterday. I hope I will not get declined this time, but keep your fingers crossed. I will let you know when it gets there, anyway. Really Nice for your sharing this Nice Effect. I downloaded the files and using Unity 4.1. I’m getting these errors. Don’t know if I need to setup anything special for it to work? RenderBounds.js(63,20): BCE0019: ‘alpha’ is not a member of ‘Object’. RenderBounds.js(64,25): BCE0019: ‘Corners’ is not a member of ‘Object’. CalculateBounds.js(93,20): BCE0019: ‘drawBox’ is not a member of ‘Object’. I think a time has come for me to rewrite that to C# and include a demo scene into the download. Hopefully I should make that in the coming weekend. Hey, I have just updated the download. Now that is a complete package containing the demo scene. Another, commercial package, contains dimension boxes and is in the submission to AssetStore. There’s a lot of wealthy families in China and for sure, most of them would be purchasing LTCI coverage for their loved ones. While the industry is gearing up to target this market, hopefully, there would also be plans that can be more affordable. A big portion of the population is not ultra rich but those who would need future health care would also come from them. Hopefully, those who would check out would not easily be discouraged to purchase a plan because of skyrocketing costs. So, please do something with original package for me to import it correctly. And please, give the link to your commercial package on Asset Store, if it confirmed already. I could have anticipated that. It is just a matter of some small changes in the code. I think I should eventually update the package, but now I have just mailed the updated script to you.